Business owners and career professionals have a few characteristics in common that allows them to be successful. One such trait is their ability to delegate tasks that can be accomplished better by someone else. This action can be the difference in whether you earn a high income. We have become expert goal setters. We have clearly defined the action steps needed for success. We have also changed the way we look at life, and the happenings in it. Now we must master the art of avoiding procrastination. Procrastination is an action, or lack of action, that can kill productivity. It can cripple you in your personal financial status, and it will ruin the progress of a growing business that you own. Procrastination limits your ability to sustain the momentum you have gained from all of the other positive life changes. One way to avoid procrastination is to remember the lesson of doing what you love. You can also draw from knowing that you must limit your daily actions to those special talents that you are truly good at. Limit what you physically do to just a few (3 or 4) things every day. By choosing only the tasks that you love and that you are good at, you will have no problem in accomplishing them in a timely manner. This productivity is built in, as you enjoy doing the things you have assigned yourself. Delegating the other tasks, while every bit as important as the ones you chose for yourself, can be performed by a peer or staff member who may be better suited for them. Making the connection between delegation and procrastination is pretty simple. Say you have to paint three more paintings for your art show. The promotional flyers need to be designed and printed, and the caterer needs to be notified of last minute menu changes. You are adequate at writing promotional copy, and terrible at the software suite that designs the flyers. You know this task needs to be done for the show, but you put it off until the last moment, and then end up spending double your budgeted amount on the rush print job and the design help you got from the printer. The three paintings that you turned out were not your best work, and the menu got changed, but to the satisfaction of the caterer and not you, the star of the show! By failing to delegate the flyer work and the event planning, you procrastinated in getting those tasks done. It caused your art to suffer, and cost you money. This ripple effect can be avoided by simply focusing your efforts on what you do well, and delegating the rest. By delegating the other tasks you would have focused on your painting, and ensured that the quality of the art at the show was up to snuff. Your event also would have been attended by more people perhaps, and the food would have been to your liking as well. 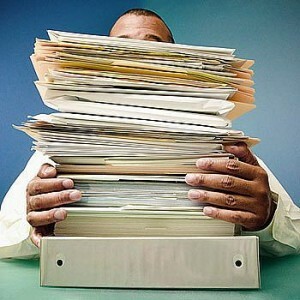 Procrastination in the form of failing to delegate tasks to others is just one way that you lose momentum in business. No one can be everything to everyone. That is true in life, and it is also a wealth secret that many who earn a high income know. Focusing on what you’re good at and delegating the rest is a great way to “scale” yourself, especially when starting your own business. There is only so much of “you” to go around. Fortunately the internet has made it relatively easy to find low cost freelancer to outsource many of your other tasks too. There are even services that will run errands for you. The key factor is to find services/freelancers that are highly rated at what you want them to do. Hiring a web designer for a large project might not work out well if they do mostly small websites.